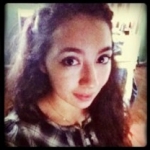 Michelle Escobar is a Los Angeles native and aspiring comedy writer. She is obsessed with NBC, peacocks, and iTunes organization. You can follow her twitter @chellmabell and tumblr at chellmabell.tumblr.com. Check Out the New Season of 'Children's Hospital'! Get Ready to Camp Under the Stars! 3 Reasons Why You Should Check Out 'Fast and Furious 6'! Our Favorite Tweens On YouTube: The Sasha And Malia Show!